Michelle, at 46, wonders if it's too late to fall in love and find her birth parents. Adam can't stop thinking about the father he never had. Question: Where did the idea for Sisters and Brothers come from? Fiona Palmer: I read a story about a man trying to find his biological father and hired an investigator who did a DNA test and found it match 1,000 other people. It turns out they were all fathered by the same man, a man who was a postman! Over the years on his mail run he left much more than just the mail. It was such a crazy story that it started this idea and also with that was my own grandfather's adoption story. It's a blend of both to a degree. It's amazing what can inspire a story idea. Question: What was the best thing about creating the character of Bill? Fiona Palmer: I loved writing about the 70's and I pictured my dad in flares and big sideburns. As a kid we grew up looking at so many 70's photos of my parents and aunties and uncles. It was fun to write Bill at that same age and when he finds the love of his life. Question: How did your real life inspire the character of Bill? Fiona Palmer: We see Bill in two stages of his life, the younger one and then when he's older. Friends and family have inspired Bill to a degree in both stages of life. Fiona Palmer: When I'm trying to write my next book I'll get up, sort some housework before heading to the farm for a day's work (driving loaders, tractors, trucks, welding, picking rocks…you name it) then come home and sort dinner and finish some housework. Then from about 7.30pm to 10pm, I will write. Then repeat for most of the week. There are times after I've handed the book in that I don't have to write which is good because if its harvest or seeding I work sometimes eight days a week and 12-14 hours a day. 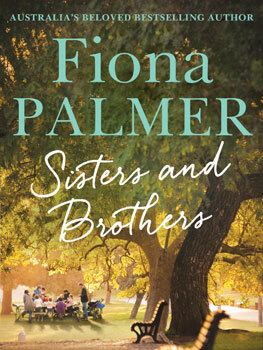 Fiona Palmer: At the moment I'm over half way on my next book which doesn't have a title yet. I need to have it completed before harvest happens.